Google Data Studio is constantly evolving and improving, with new features launched regularly. This week I noticed three new features worth mentioning. 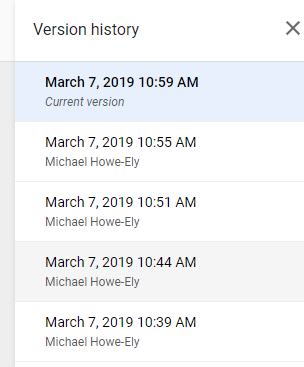 Users of Google Tag Manager may be familiar with it’s very useful version history. It enables you to make changes without fear, as if you make a huge mistake you can simply revert back to the previous version that worked. 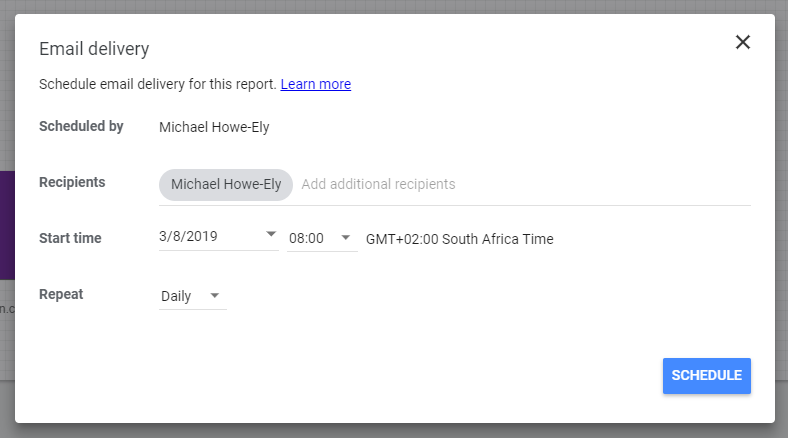 Google Data Studio now has this feature. I’ll take a look at it using a Demo Dashboard. Click File and then click See version history. On the right side of the screen we see the version history. We can see what our Demo Dashboard looks like on the current version. Let’s decide to change the colour of the charts from purple to orange. We decide the orange doesn’t look so good, so let’s see about reversing to the purple colour scheme. We open up the version history and choose the previous version. Clicking Restore this version will take us back to the previous version. This should be a very useful and effective feature, and make changing settings and experimenting less risky, as you would no longer have to manually reverse all the changes to the report. Another new feature is the Scheduled Email Delivery. I had come across several people asking if this feature was possible so I’m sure they will be relieved that this has been added to Data Studio. The feature is fairly straightforward, and is similar to the automated report system used in Google Analytics. 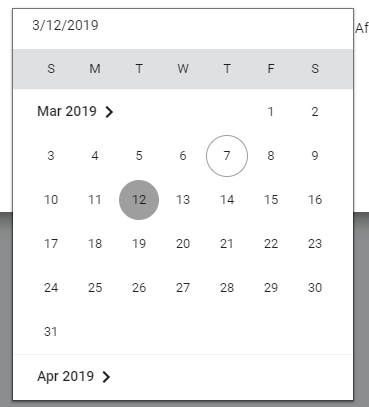 You can choose the date that you’d like to have the report sent. And it has some nice options for repeating the email. In this case, it’s suggested the email is sent out every Tuesday. This will surely be a useful feature that enables marketers to keep management, team members and clients up to date. The third new feature to be launched is a quicker and simpler way of sharing the report via a link. If we click Get report link we get the following pop-up. If we click COPY LINK and try paste it into a different browser, we get this response. Whoops. Not what we want managers or clients to see when trying to view the link. 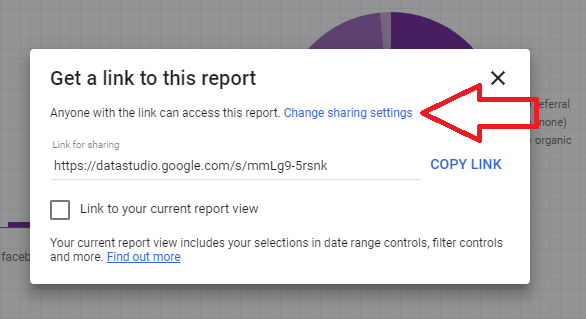 To sort this out, click Change sharing settings in the Get report link. 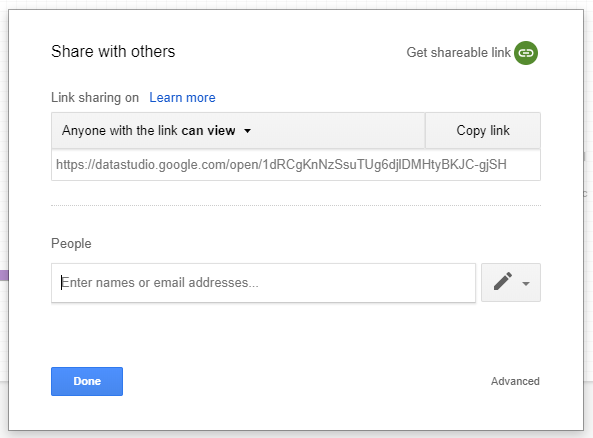 We then get the more familiar link sharing window. We can now click Get report link and the report will be shareable without any issues! These three features have only just launched, but should make a big difference to how Data Studio operates. The scheduled weekly reports mean that Data Studio reports could become the standard method of reporting for Google Analytics and other website data. 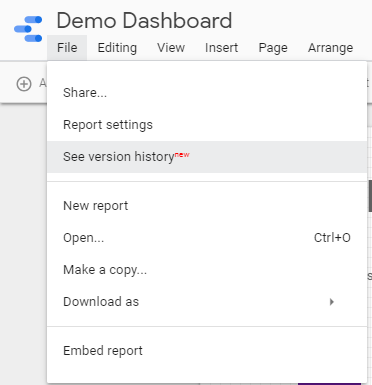 And the new Version History feature makes it less risky to make changes on your report. Many people would not want to ‘mess up’ their complex report by making radical changes, but the new version history removes that risk. I’m sure I’ll be using it quite a bit. And the Get report link feature will hopefully speed up sharing reports. All in all three very useful features that will make Data Studio even better!